The oldest stone tools in the world have been found in eastern Africa, and evidence for tool production has been found across Sub-Saharan Africa. African communities continued inventing tools, often made with what was available where they lived. Some of the tools, specifically stone tools, have existed for centuries, and even after the interaction with Europeans, some communities have continued to use them. I have childhood memories of watching family in Southwestern Uganda, using grinding stones (Orubengo), to grind millet and sorghum to make flour for porridge, "Obushera" and "Kalo". Many tribes in the Sub-Saharan region used the grinding stones. 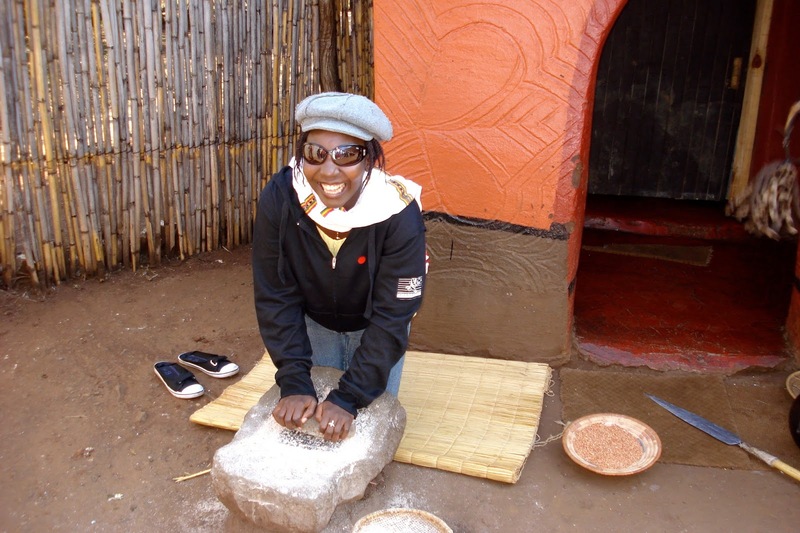 The grinding stone was very important in the African homestead, and the women knelt behind it to grind grains and pepper. The women brewed indigenous beer with millet and sorghum in many African cultures and societies. This beer was consumed mostly by the men during community socialization.